The hottest gadget at CES isn't on the show floor. 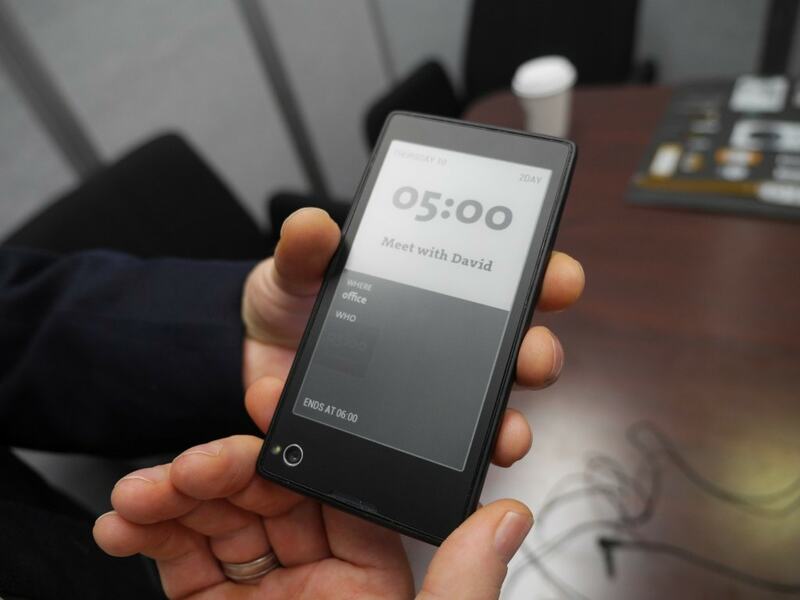 It's the Yotaphone, that dual sides smartphone from Russian gadget maker Yota Devices. I still haven't gotten in the room with it, but it turns out my good friend Charbax did. He got to spend a few minutes in the Yota suite and he shot the following video while he was there. The Yotaphone is a dual screen smartphone with an E-ink screen on the backside and an LCD screen on the front. This gadget was unveiled about a month ago but it was only this past week that bloggers finally got to see it in person. The reports are fairly consistent. Most say that this was the coolest gadget at the show but it also needs work. The other good part about the press finally getting to see it is that we now have firm specs. It's running Android on a dual-core 1.5GHz Snapdragon CPU with 2GB of RAM, and a 12MP camera. The 4.3" LCD screen resolution is 720x1280 and the 4.3" E-ink screen resolution is 640x360. Yota Devices is expecting to ship this phone to Russian and European telecoms in the third quarter and plan to have it in the US market by the end of the year.